Modernist Mysteries: Perséphone by Tamara Levitz (Oxford UP, 2012) explores this collaboration through what she calls a “microhistorical analysis of the premiere”: how the collaborators “used the myth of Persephone to perform and articulate their most deeply held beliefs about four topics significant to modernism: religion, sexuality, death, and historical memory in art.” Her website offers a comprehensive introduction to the book. I tried to capture Stravinsky's intimate and private life as a composer by going back to countless original archival sources, and by observing Stravinsky from close range in one, controlled, situation (the premiere of Perséphone). Rather than document his life historically, ... I wanted to capture how he felt about love, sexuality, gender politics, music, religion, death, and hope, by exploring in very minute detail his approach to setting the myth of Persephone. By concentrating on a day-to-day description of Stravinsky's life in 1934, I hoped to escape some of the clichés that have plagued the literature on this composer to the present day. André Gide fascinates for different reasons. He was an immensely courageous writer, who single-handedly transformed the discourse on pédérastie and homosexuality in his time. Gide resisted the symbolic reduction of human life and simple solutions to moral problems with all his might; he believed that human beings were complex creatures whose motivations and intentions could not be summarized in simple terms. I wanted in my book to describe in detail Gide's battle to have homosexuality accepted in his time, because I think the story can teach us a lot about similar battles taking place today. 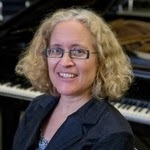 Levitz is Professor of Musicology at UCLA. Modernist Mysteries: Perséphone won the American Musicological Society's 2013 Otto Kinkeldey Award, given annually “to a musicological book of exceptional merit published during the previous year.” It is the longest running of the society's awards, having been presented since 1967. The Kinkeldey Award is funded by the estate of Otto Kinkeldey (1878–1966), founding member of the Society, President from 1935–36 and from 1941–42, and Honorary President until his death in 1966. Kinkeldey occupied the first chair in musicology in the United States, at Cornell University, between 1923 and 1946, where he was also Cornell University Librarian. He held the BA from City College of New York (1898), MA from New York University (1900) and Ph.D. from the Royal Academic Institute for Church Music in Berlin (1909). In 1910 he was appointed Royal Prussian Professor at the University of Breslau, then served in the United States Army at the beginning of World War I and was named head of the Music Division at the New York Public Library (1915–23). Whither the Théâtre des Champs-Élysées?